They say necessity is the mother of invention. 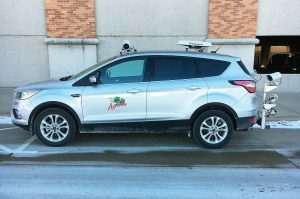 While the city of Appleton, Wis., did not invent the innovative parking enforcement solution it recently adopted, it’s an example to other municipalities of how the right technology can boost productivity. Last fall, the city made a sizable investment, in hopes that it would aid staff’s efforts in enforcement. According to Paula Vandehey, Appleton’s public works director, the city made a nearly $100,000 investment, as approved by the city council. 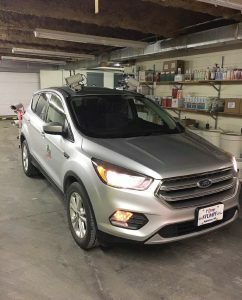 The breakdown included $30,000 for the SUV and $68,000 for equipment, including four protruding cameras, two contour-measuring lasers, a GPS antenna, an onboard computer, image and symbol-recognition software and a printer. Vandehey said the city purchased the vehicle on its own and had it outfitted. The style and size are up to the individual community, she noted. The drive-by system known as autoChalk is made by Canadian firm Tannery Creek Systems. According to the company, “autoChalk recognizes infracting vehicles by using a combination of license plate recognition and vehicle recognition technology to accurately determine plate, color, contour and length of each scanned vehicle.” The company has deployed similar systems in Santa Barbara; Madison, Wis.; Fredericksburg, Va.; and other cities. 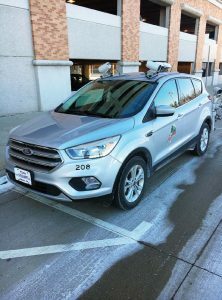 Appleton’s virtual chalking parking enforcement vehicle has been a boon to the city because it addresses a common problem. Vandehey said the city has a great deal of time-limited parking. With limited staff and resources, it was difficult to monitor and ticket as necessary. She also said they were also looking at adding additional parking but couldn’t justify the additional coverage. Parking enforcement staff have the responsibility of enforcing all Appleton ordinances and all Wisconsin state statutes pertaining to parking, according to the city’s website. They issue citations using hand-held computers for such infractions as loading zone violations, no-parking zones, expired time zones, handicapped parking and expired parking meters. “With the old technology, we knew we weren’t able to do it justice,” she said. Now, she said the city can make the rounds in a fraction of the time, increasing efficiency. To that end, the city rolled out the mobile application PassportParking last summer. This platform allows users to purchase parking using a debit or credit card, monitor and receive notifications when their sessions runs low, view all parking history, extend time remotely and add funds to pay for parking through the in-app wallet feature. The app is now available at 800 metered parking spaces through the city. On the back end, apps like this help city offices and employees share real-time data about what’s happening within their various transit and parking systems. Additionally, it makes decisions about where to dedicate more law enforcement, personnel, money and resources easier. Regarding the move to purchase the vehicle and technology, financial responsibility and transparency to taxpayers, of course, also entered into the equation. Speaking of money, while Vandehey said they don’t track revenue from citations on the enforcement side per se, they have seen other promising intangible results — and that’s a win. 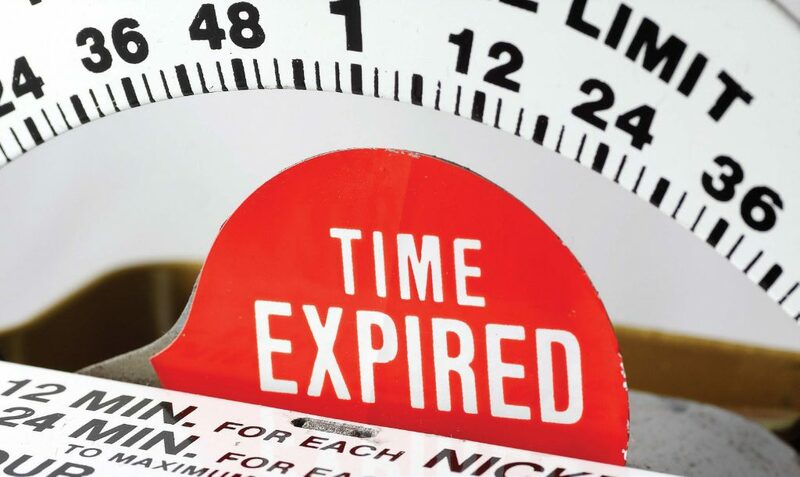 Currently, metered parking hours are set at 9 a.m. to 6 p.m. Monday through Saturday, with Sundays free of charge. Overnight parking is permitted by request for mornings between 2-5 a.m. Looking to the future, Vandehey said likely next steps pertain to public awareness and education. She said her department tried to get the information out to the public in a timely manner, to quell fears. But there still remains some opportunity for fine-tuning.